The wonders of the not-so-terrible twos! Your 2-year-old is already a very active explorer and curious about the world around him. He’s hit a variety of other developmental milestones and he still has several milestones that he’ll need to hit before he reaches the age of 3. Your infant is so curious that he is already asking questions about the world and starting to develop his creative side through pretend playing and beginning to use his imagination. Like any infant, a 2 year old will require toys and many play activities to help them get through the next stage of their childhood development. Trying to come up with a gift that will hold your busy child’s interest is going to be difficult. However, finding the best educational toys for your child will also hold numerous benefits for your child’s development. When finding the perfect toy for your 2 year old, you’re going to want to see which product will work on their cognitive skills, emotions, dexterity, and what will help their social interactions. If you look below you will find our list of the best toys for 2-year old boys in today’s market that are not only fun for your little one to play with but are also durable, safe, educational and perfect for your busy, active, kid. We are sure that you will find one that will be the best fit or gift for your child’s needs. This is where we know we can be of help. Toys for 2 year olds are a part of their daily life. They play, sleep, learn, and eat. Sounds fun right? Well we want to make sure they are getting the most out of their playtime. The toys on this list are the best. We have reviewed each toy and made sure it was current in the marketplace and each section has been updated with the new criteria. Topple is an interactive toy with moveable textured spheres. With the help of children, these spheres can be stacked, toppled, tilted, spun and wiggled. These spheres are colorful and draw kids attention. They are a dynamic toy with lots of possibilities. Benefits–Tobbles is a physics-based game that encourages children to explore. The six weighted spheres provide extra stability for building and are easy for small hands to hold. It encourages sensory exploration, hand-eye coordination, fine motor skills, and improves visual/spatial awareness. What We Like about It– The toy is excellent for helping 2-year-olds develop mastery of their fine motor skills and hand-eye coordination while at the same time reinforcing their color recognition. The different colors can also help expand their dynamic outcome of everyday play with Tobble. Tobble is the best toy on our list, kids absolutely love this toy. There are a return and exchange program that helps customers with great service. It can be easily washed and wiped down with a clean wet cloth. It can be easily put away because it is short and lightweight. Tobble is designed for 2-year-olds, older kids break down the toy faster. Balls can easily get under feet, luckily they are soft and squishy. Two year olds love playing make-believe. You can give them the Little Tikes Count ‘n Play Cash Register Playset so they will have lots of fun imagining running their retail business. The playset comes with a cash register that is operated by 9 plastic coins in three different colors. It also comes with a make-believe credit card magnetic reader with 2 plastic credit cards. Kids pull on the register’s handle to gain access to the drawer. Benefits– This toy helps kids between 24 months and 5 years old get their first experiences with money and counting. The realistic coin operation and gratifying bell make learning fun. It also helps them understand the basics of budgets and trade in the modern world while providing years of entertainment. What We Like about It– The toy is great for encouraging imaginative play. It’s also great for developing color recognition and matching. It also helps develop hand-eye coordination and fine and gross motor skills. This is a STEM toy because it is fun, educational and is commonly found in preschools. The plastic materials it is made to make it easy for parents and kids to keep clean. A toy cash register pairs well with a toy kitchen and toy grocery store. The size of this item is perfect for families who live in smaller spaces like apartments. Batteries are not required to operate this machine; it uses a series of bells and gears. The plastic coins can get stuck in the coin slot, but parents can wedge it out easily. Every time the handle is pulled a “cha-ching” sound is made and it can’t be turned off. Young kids love making sense of what is real and what’s fantasy. With the Monster Plush Bowling Game, your 2 year old boy will love bowling down the cute, lovable, and colorful monster bowling pins. The bowling ball itself is a rather friendly looking beast. The bowling ball and pins are made of soft and child safe materials and come complete with a zippered carrying case. Benefits– This bowling game set is perfectly designed for toddlers aged 24 months to four years. It comes in a clear, triangular zippered bag that makes for great storage afterwards. The soft ball ensures a safe and risk-free game for the kids, plus the bowling pins are a perfect size for their little arms to cuddle with. What We Like about It– It helps facilitate imaginative play. While it’s great for promoting gross motor skills, hand-eye coordination, and balance, we love the fact that the monster pins are actually lovable. They can be great addition to a display cabinet. Kids stay interested and engaged with the help of its pretty colors and silly monsters. This game can be played alone or with friends and family, it helps kids break the ice. There are countless ways to play because this toy encourages imaginative play. The soft edges make this toy safe for children who are just getting used to moving. Kids like to make monster sounds as they carry their plushy pins around the house. These don’t stand up too well, they topple over if they are not set down correctly. The ball is so plushy that it doesn’t roll well on carpet. There’s something unique about riding a touring bike, especially if it’s from Harley-Davidson. The distinct hum of its powerful engine can truly turn heads around. With the Harley-Davidson Motorcycle Tough Trike, your 2 year old boy will also be turning heads around with its elegant styling. It has large pedals and wide rear wheels for optimum stability. The only thing missing is your kid in full biker wear. Benefits– This Harley Davidson Motorcycle Trike is made especially for kids aged 24 months old to six years old. Your kids will be able to ride it through all surfaces from carpet to wooden to grass. The stickers come unattached to the trike making it the perfect activity to do with your kid while assembling the trike. What We Like about It– Trikes are excellent tools for developing balance and coordination among young children. It’s also a great way for them to start working their muscles while at the same time fostering imagination and creativity. The product is lightweight and easy to move around. It is easy for kids and parents to assemble. The materials are strong and can withstand children’s rough play. It is easy to clean and quickly wash down with a hose. The secret storage compartment is great for kids to store water and snacks. The treads don’t stop kids from skidding when they bike quickly and stop suddenly. Kids have to be at least 3.5” tall to be able to reach the pedals. You can see more like this in our full guide to the top ride-on products for toddlers. Do you think your kid has what it takes to represent your country in the Olympics or even the World Cup some 20 years from now? With the Smart Shots Sports Center, you can now cultivate 2-year-old boys’ love for basketball and football. This 2-in-1 sports center features a basketball ring with colorful backboard and a soccer goal with an equally beautiful frame. The set plays different songs, music, phrases, and sounds to accompany the lighting effects every time your kid scores a goal or shoots the basketball. Benefits–This Smart Shots Sports Center set by VTech is perfect for kids aged 12 months to three years. The LED scoreboard is able to count up to ten baskets at a time and it’s easy to reset. It’s easy to assemble and features an on/off switch so that your child can kick/dunk the ball without the noise. Additionally, if your child prefers to play with a different ball that is around the same size, they can use that ball instead of the ones that come with the set. What We Like about It– It’s great for developing the gross motor skills of 2-year-olds while at the same time encouraging physical activity and strengthening leg and arm muscles. It’s also good for stimulating imagination while enhancing their sensory development. The entire playset is lightweight and easy to move around the house. Kids as young as 1-year-old can have fun playing with this set. Parents can add suction cups to the bottom of the kit to keep it steady. Parents can put the playset together easily, the directions are clear to read. Many of its colors are gender neutral, girls can play too. This hoop set cannot be folded down for easy storage; but it can be unscrewed. The pieces are too bulky to tuck into a suitcase. Kids love Thomas the Tank Engine and his friends. While your 2 year old boy may not have the pleasure of exploring the Island of Sodor, he will nonetheless have fun riding on the Power Wheels Thomas the Train with a circular track. The ride-on toy can be played two ways – one on-track and another one off it. Either way, it’s guaranteed to bring a wide grin on your kid’s face. Benefits– The Power Wheels Thomas the Train toy is perfect for children aged 12 months to three years old. Though this track is already decently sized, there is an option to purchase an extension of the track. It works great on carpet and hardwood floors. The train can also work perfectly without the track and your child will be able to steer left and right off the track. What We Like about It– It’s excellent for imaginative play. If you want your kid to really muster his arm strength, then he needs to play it off its tracks so he can literally explore his surroundings. The entire system is easy for parents to put together. Kids can easily figure out how to make their train drive. This is a nice quiet toy, it won’t make too much noise while its in use. It has a surprisingly long battery life. The train can be ridden around the house without the tracks and goes up to 2 mph. Connecting the battery to the train can become a tedious task for parents. Only one kid can ride this train at a time, kids are encouraged to share. One of the things 2 year olds have to master is the expression of their thoughts and feelings. You can now help them do this more effectively with the Little Hands My First Scribble. It’s an oversized drawing and activity book for young kids where they can doodle to their hearts’ content. If they grow tired of scribbling, they can always use the 70 or so stickers on any of the 50 pages of the book. Benefits– The Little Hands My First Scribble from Alex Toys is made for children from 24 months old to five years old. This toy truly grows up with your child. For younger children, they can learn to draw without using the stickers. The older your child gets, the more intricate their designs can be, and they can follow the directions on the bottom of each page. What We Like about It– It’s a convenient way of allowing kids to express their thoughts as 2 year olds may not have the correct words yet to describe what they feel and think. It’s also excellent for stimulating creativity and imagination while developing motor skills. The pages in this book are thick, they don’t tear so easily. This is a large coloring book, it surprises parents how large this pad actually is. This book feels sturdy and it is well-made. Each page engages kids with its elaborate images. The stickers can be used to decorate other personal belongs like notebooks and folders. This kit doesn’t includes markers, crayons or any coloring utensil. There are no blank pages that kids can use. To see more like this, make sure you read our list of the best books for 2 year olds here. Why a flashlight, you ask? Because to a two-year-old, it’s not just a source of light… It’s a new toy! Your child can learn a lot from this VTech Spin and Learn Color Flashlight, and we don’t just mean how to turn it on and off. VTech is known for their highly educational toys and somehow, they’ve managed to create a flashlight that’s both fun and a great learning experience. This musical gift comes in three different colors and encourages your little one to sing along with over 50 songs and melodies! In addition, each button makes a different sound, which means that your child will be delighted and excited to see what they can discover next. The numbered buttons along the side of the flashlight encourage counting which will put your child way ahead of the game. Benefits– The best thing about this toy goes out to the parents — It has volume controls! What We Like About It– This toy isn’t just a fun gift, it’s also practical. In the event of an emergency, flashlights can be a crucial part of any disaster kit — Your child will not only learn and gain sensory experience from this flashlight but if the power goes out, they’ll have their own kid-friendly light source as well. It’s never too early to teach kids about the value of walking the dog. With the Walk-a-Long Puppy Wooden Pull Toy, 2 year old boys can now play pretend dog walking with this lovable pooch on wheels. The toy pup is made of high quality wood and finished with child safe materials. Benefits– This Walk-a-Long Puppy pull toy is perfect for children aged between 12 months and three years. Whether your child pulls it while standing or crawling, it’ll work both ways. The back wheels wobble to make the tail wag. Your child can pull this toy on carpet, hard floor, concrete, and tile floors with little to no problem (apart from hard corners). What We Like about It– It’s a great way to teach about animals as well as the value of walking as an exercise. It helps promote coordination and balance while at the same time fostering the child’s imagination. The dog’s leash is well-made; its threads won’t come apart so easily. This is a quiet toy that doesn’t make loud crazy noises. It can be pulled on carpet and on hardwood floors. It can be stored away in a cute sitting position. The puppy is made from real wood that comes from sustainable forests. The puppy’s paint wears off after many hours of playtime. Consider the First Builders Big Building Bag as your 2 year old’s oversized LEGO construction bricks. With large colorful blocks, this Mega Bloks creation is easy to hold and piece together by the tiny hands of a two year old boy. The materials used are tested and duly certified to be of the highest quality and safety. Benefits– These BPA-free blocks are ideal for children 24 months to 5 years old. The large plastic carrying bag ensures they can stay organized when kids aren’t building with them. Unlike other blocks, these are too large to be a choking hazard for small ones. But they still pack all the fun and imagination into playtime as ever. What We Like about It– Building toys help stimulate problem solving skills. For 2 year olds, this building toy is excellent for encouraging creativity and imagination while developing fine motors skills, spacial intelligence, and hand-eye coordination. The bag is a reusable storage case and it is easy to keep clean. Each block is made from safe plastic materials: BPA and PVC free. Huge blocks make it safe for babies to play with. The corners and edges are soft, blocks won’t cause scratches or cuts on kids. These types of blocks can be stored in a tupperware bin just fine. The plastic bag emits a strange odor. The divets in the blocks make it easy for smaller toys to get stuck in. You’re never too young to have your own remote controlled car, as we like to say! The good news is, this car was designed specifically with kids in mind. It’s durable, strong, and contains no small parts or tiny accessories — It’s just plain fun! It comes with a simple control that will help your kid learn how to race his first toy care and we’re positive he’ll have a blast with it. For being a kid toy, this car is pretty detailed and vibrant, including with it a cool-looking race car driver. With simple buttons like forward, left and right, your child will have no problems racing this thing around the house. Benefits– A remote-controlled car can really improve your child’s hand-eye coordination. It takes a lot of focus to figure out where you want the car to go and kids will get a ton of practice on how to make the connection between visual and physical direction. What We Like About It– As a starter remote-control car set, this toy is perfect for kids who don’t need anything too outrageous. It’ll give them the feeling of control and freedom without overwhelming them. What if you have a book that can talk its contents? Now that would really be amazing, wouldn’t it? With the Touch and Teach Word Book, two year old boys will simply love the highly interactive pages of this electronic book. With every touch eliciting wonderful music, fun sounds, and educational words, learning the alphabet and phrases will surely make playtime more fun. Benefits– VTech’s word book is perfect for children aged 18 months to four years. This book has twelve pages of interactive learning activities. It also has sixteen songs and melodies for your child to enjoy. It features a ‘Find It’ button which asks your child to find random objects across the page. What We Like about It– The book is great for helping children expand their vocabulary as well as master the alphabet. Singing along to the different tunes and melodies can also help kids feel good about themselves. Children can easily flip through the pages and distinguish between the different tabs. This is a STEM toy because it is educational, fun and is used in preschools. It is a touch sensitive book, kids don’t need to press the buttons hard to make sounds. The pages are made from strong plastic materials, they are difficult to tear. This book is hard to lose in a house because it is big and bright. This is not a coloring book, but kids always try to color in it anyway. It is a sturdy book but it is not indestructible; it will break if dropped from high places. Who says bath time can’t be totally fun? This ferry and car set will turn your child’s dreaded bath times into something they’ll look forward to and enjoy doing. This fun ferry comes with two toy cars as well as a working ramp that kids can use to load them on and off with. The ferry itself floats very well and isn’t prone to sinking, which means hours (okay, maybe not exactly hours) of fun in the bath. The best part is that it can be taken outside and used in any water type of environment since the toy pieces themselves are easy to clean and contain no compartments that end up holding water without proper drainage. Benefits– This is one bath toy that’s completely safe and contains no harmful chemicals. When it comes to your child and their water toys, we only want the same thing for them that you do – The absolute best. What We Like About It– This is so much more than a toy. It’s a way to bring back some fun into bath time and give your child a toy that they’ll love using when it’s time to get clean as well as dirty! Your two year old boy may have learned to walk when he was still 12 months but this doesn’t mean he can no longer play with the Sit-to-Stand Learning Walker. For the already-walking child, he will use this toy primarily for its learning activity features. It plays more than 70 child friendly songs and melodies including fun phrases and sound effects. It also has a pretend telephone, shape sorters, and spinning rollers, among others. Benefits– As the name states, this walker will grow with your child as its suitable for children aged 9 months to three years. It has a speed control knob that enables you to change it from a beginner walker’s speed to a confident walker’s speed. The back wheels are able to be locked so it won’t slide out from under your child. What We Like about It– It’s a great way to reinforce a two year old boy’s gross motor skills while helping develop his language and communication skills. It also aids in encouraging creative and imaginative play. This item can be gift wrapped before the company sends it out. It works well on hardwood floors and on carpet. Batteries are included with the purchase of this product. Children as young as 9-months-old can use this toy, but parent supervision is required. Children and parents love the sounds this toy makes. This toy is durable but not indestructible, it will break if is pushed down the stairs. It is too big to conveniently take on trips in a small car. Check out this guide on the best baby walkers for the most popular products at the moment! Kids love to play with water. And with the Spiralin’ Seas Waterpark Play Table providing them the much-needed water play area, 2 year olds will definitely have lots of fun. They can play with the water Ferris wheel, the spiral tower, or even the miniature waterwheels. Made of solid plastic construction, the water play table is sturdy enough to hold up to 7 gallons of water. Benefits– This Water Park Play Table is ideal for children between 24 months and 6 years of age. If you wish to purchase additional balls, they can be done so through the Little Tikes website. The legs of the table come off easily for easy storage. You can also fit three to four children around the table to play at the same time. If you order the five ball set, you’ll get two red balls, 2 blue balls, and 1 green ball. When your children are finished playing, you can simply drain the water out. What We Like about It– Great for cooperative and imaginative play. It’s also helpful in developing motor skills and appreciation for cause-effect relationships. The playset can also help in enhancing hand-eye coordination and spatial intelligence. This product is easy for parents to assemble and disassemble. There are no sharp corners for kids to get hurt on. Kids as young as 1-year-old have a blast playing with this waterpark. Several children can play around this waterpark because it is accessible 360 degrees. It encourages kids to play outside and enjoy the warm summer weather. This toy should only be used outside because of the huge watery mess it will cause. It does not drain the water out all the way, there is always a little left over. View a full selection by visiting our post on the best water tables for kids here. You May also Want To Read: Best Outdoor Toys For Toddlers. Who needs a writing board when your kid can utilize the surface of your ref to put the Fridge Phonics Magnetic Letter Set and begin his journey to mastering the alphabet? The kit comes with a highly interactive device that sings, talks, and teaches kids about the alphabet. A truly great toy for any infant! Benefits– This letter set is perfect for children aged 24 months to five years. It comes with all capital letters and will work perfectly on a stainless-steel refrigerator. The magnets are cased in plastic on the back. As your child pushes in the letter into its spot, the machine will sing a little song that’s specific to the letter. What We Like about It– It’s a novel way to introduce letters and colors to children, especially 2 year olds. It also allows them to master their fine motor skills and spatial intelligence, not to mention hand-eye coordination. This is a STEM toy because it is educational and fun for kids to play with. The magnets are strong, they won’t fall off of a magnetic surface so easily. Parents can keep an eye on their kids while they play with the magnets on the fridge. It sings the alphabet song, an important tune that is taught in preschool. The magnets work on stainless steel refrigerators. Singles aren’t sold separately, once pieces are lost they are gone for good. The letters are only available as capital letters. You can’t go wrong with LEGO sets, and the DUPLO My First Cars and Trucks is the perfect way to introduce your kids to them. Not only are they getting fun car and truck toys in this set, but they’ll have the opportunity to build them as well! All the pieces are mix-n-match and allow for tons of options as far as various car models go. The LEGO pieces themselves are large and safe for children while also being super easy to use and snap together. They’re brightly colored and fun to look at, which means your child will be drawn to them from the start as they realize they’re in for hours of fun playtime. Benefits– Teaching kids building skills will help their critical thinking, logic, and hand-eye coordination. Physically putting pieces together, such as with LEGOs, helps a child to develop a sense of geometric design as well. What We Like About It– This is a great starter set for any child who shows an interest in LEGOs and building blocks in general. It can also be a great toy for boys who have a fascination with cars because there’s nothing better than being able to construct your own! If you want a different take on the classic building block, then you need the B. One Two Squeeze Blocks. These are not necessarily building blocks but more of learning blocks because each one has an embossed images of numbers and different animals. The blocks are soft, durable, squeezable, stackable, and even chewable. They can be great addition to your toddler’s bath toys. Benefits– This toy can be played with from an early age, making it perfect for children between the ages of 6 months and three years. This multi-functional toy is the perfect to play with anywhere. It’s BPA free. With the ten blocks and six pictures on each block – there are sixty pictures for your kid to explore. What We Like about It– It teaches young kids about colors, numbers, and different animals. This can help expand their vocabulary allowing them to communicate a lot better. Great for developing motor skills and spatial intelligence as well. This set is waterproof, kids can play with this in the tub. It is lightweight and easy to take along on road trips. The blocks can make squeaky funny sounds without the need for batteries. All the blocks can be stored away in their 100% recycled bag. Parents and kids can easily clean and wipe down this kit. These blocks need to be deep cleaned if water gets into them to prevent bacteria growth. Dogs will chew these lovely plastic toys, they make great chew toys. Pounding is such a very useful stress reliever. With the Deluxe Pounding Bench, however, it is more than just stress relief but more importantly it’s also educational for kids. This classic pounding toy comes with 10 colorful pegs – smiling characters peeking up and down their slot – which can be hammered by kids. The package comes with a wooden mallet. 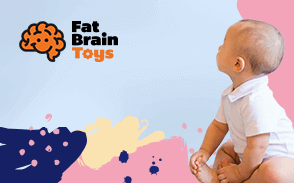 Benefits– This peekaboo designed toy is a replica of the classic pounding toy, making it the ideal option for children aged 24 months to four years. The pegs are not too hard for your kid to pound through with the hammer, but children can also just push them in with their hands. Your kid can hammer the pegs done flush to the bench and then start all over again. What We Like about It– It teaches hand-eye coordination and precision hitting. It can also be a great way to encourage mastery of different colors while stimulating imagination, reflexes, and agility. There are no small pieces for kid to choke on. The entire kit is made from solid wood. It can be personalized by engraving the child’s name on it. Its small size makes it sit on a desk or table without it taking up too much space. If the pieces start to come apart, a little bit of wood glue will do the trick. Kids will eventually turn on each other and start to smack each other with the mallet. Parent supervision required to make sure kids play with their toy properly. Composed of 4 beautifully designed board books and 4 educational posters, the Teach My Toddler Learning Kit is something that you would want to teach your 2 year old boy. It includes 68 pieces of learning materials to teach kids about the alphabet, shapes, colors, and numbers. Benefits– As the ultimate learning kit, this product is ideal for children aged 18 months to three years. The book is broken down into several sections on letters, numbers, and colors. The number flash cards go up to 10. The books and foam puzzle pieces are difficult for the children to tear up, the posters, however, need to hanged up far from reach on the wall. What We Like about It– It’s a classic way of promoting kids’ vocabulary and language, numerical skills, hand-eye coordination, spatial intelligence, and fine motor skills. The kit can also be a useful aid for teachers. This is a wonderful STEM toy because kids learn so much from playing with it. Kids can learn their shapes and colors quickly using this learning set. Parents like to use this setup to play pretend school for kids who are too young for class. It takes a long time for every activity in the box to be completed, kids won’t be bored. Kids as small as children learn so much from this kit’s activities. There are no instructions that come with this book, but it is easy for kids to learn. It can be taken on road trips but there are lots of pieces that can get lost or left behind. Two-year-olds are just at that age where they want to touch and feel everything. This building set is perfect for the hands-on kids that are destined to delve in construction. This set features colorful connecting blocks that easily lock into place with pivots beneath the ball track. This ball track building set creates the perfect link between free-building and stacking. The building will help your child build their motivation, independence and train their motor skills. Benefits– This is just the right building set for children between two and three years old. The wooden track stays together well and can be adjusted easily. Children love getting to design their own coarse and learn intuitive lessons about how physics and math work. It also comes with a variety of balls in different sizes to increase the fun and complexity. What We Like About It– The My First Ball building set is easy to construct and can withstand most bumps. It’s sure to keep your two-year-old busy for a while. The bell will delight your child to no end. Not only that, but this ball track set will grow with your child as it can be used with any of the other ball track sets by HABA. The entire assembly is made from real durable wood. Kids are encouraged to assemble their own track, that is a part of the fun. Their kit can be played with indoors, outside, at the park and at nana’s house. The color pieces make it easy for kids and older adults to see. The wood is polished to prevent splinters. The balls tend to roll off the track if pushed too hard. Tracks work best on hard flat surfaces. The Nesting and Sorting Garages and Cars set by Melissa & Doug will keep your kid enthralled for hours. The match-and-stack set of seven wooden cars and seven stacking garages. This set will teach your two-year-old the concept of pairing by number, color, and size. Benefits– The seven garages can be stacked to make a tower or make a colorful town. The compactness of this toy makes parents’ life easier by having an easy cleanup. It offers two-year-olds endless opportunities for a mix-and-match, hide-and-seek, counting, stacking, and imaginative play. What We Like About It– There are countless ways for your two-year-old to enjoy this Nesting and Sorting Garages and Cars set. This set allows parents to teach their children about various things, including colors, sizes, numbers, and stacking. It teaches patience and artistic vision which enables the child’s creativity. The wheels on the toy cars move. Kids as young as 17 months old can enjoy playing with this set. Kids like to play a game called “make a tower” with their garages. Early childhood intervention specialists use this toy for kids with learning disabilities. The entire kit can be easily put away because the garages can fold down. The garages can feel flimsy, like the wind can blow them away. They can easily become damaged if they accidentally get sat on by a little kid. This multi-award winning bike ensures that your child will learn to ride a bike fast. The 3 in 1 Original Wishbone bike is made from sustainably harvested eucalyptus and birch wood, a nontoxic glue and finish, and is packaged in recycled materials. This bike can be used both, indoors and outdoors and is sure to last for years to come. Benefits–Parents love this dependable bike that grows with their child. Kids can start using this bike at around two years old while it is in the walker configuration. Once they get a little older, it can adjust to become a push tricycle. When they are old enough, this bike transforms again into a balance bike with size options. What We Like About It– We want the best for our children, and this product ensures that we are able to do just that. It exceeds US, Australian and European toy safety standards. It is an award-winning balance bike. On top of that, converting the bike from any setting takes no more than five minutes, giving it thumbs up from us. The birch and eucalyptus wood the bike is made from gives off a fragraful aroma. This is an award winning toy; it won at least 5 awards since 2009. Helps lower our carbon footprint because the bike is eco friendly. It will help strengthen kids legs to propel themselves around the park. The traction on the tires make it possible for kids to ride on dirt and gravel surfaces. The seat is hard and doesn’t provide enough support; but seat cushions are available online. Assembly is required, but the instructions make is easier for parents to put it together. The Metal Speedster Fire Truck will give your child a ride on toy experience. It features a vibrant red steel body, chrome accents, and real wooden ladders. On top of that, it also includes some prominent features like plastic fenders, a working steering column, rubber tires and a horn. Kids are sure to enjoy the fire department markings and the engine bell sounds that this fire truck features. Benefits–It features a working steering column to allow kids to learn more about stability and practice their motor skills. The real wood ladders can be removed. It also has an attached cord that plays a fire engine bell sound. What We Like About It– This fire truck is perfect for use indoors and outdoors, giving the kids plenty to play with. The tires have a rubber tread which ensures that there won’t be any accidents of them marring indoors floors. It looks great underneath a Christmas tree. Parents can complete the set by purchasing the matching fireman’s hat and book. Once the toy is assembled, it can be disassembled if need be. The edges and pieces of the engine are soft or smooth out for safer play time. By the time kids are 4-years-old they are still playing with this fire truck. The assembly is tricky; sometimes both mom and dad need to work together on this one. There’s only room for one child to ride at a time, other kids need to wait their turn. For the pint-sized shoppers, the Shopping Cart by Little Tikes is perfect. It features a colorful, and durable, cart that is able to hold even the smallest of things. The deep basket ensures that your two-year-old will be able to carry around many things. They can even bring along their favorite stuffed toy to ride along through their shopping journey in the fold down seat. Benefits– This shopping cart lets your child carry around their favorite toy along with tons of their other ‘groceries’. It has a plug at the bottom to make it more sturdy and stable – making it the perfect option for two-year-olds or even older. What We Like About It–The sturdiness of the shopping cart along with how much it can carry for two-year-olds is really great. Though there is some assembly required, it gives hours of playtime for your children. This is a well-built toy, it can withstand children’s rough play. There is a convenient fold down seat that children can ride in. The basket is deep enough for several toys and items kids can place in. Its plastic parts make it easy to keep clean and sanitized. It makes kids develop a habit of picking things up around the house. Assembly is required but it is easy for parents to put together. In the older models the wheels don’t turn with the cart, they only go back and forth. For those children that love to watch routine tasks being done, this is perfect for them. With this Gas ‘n Go Mower, your two-year-olds can ‘help’ you get the job done even faster. This product enables a hands-on mowing lawn experience that’s perfect to convince your children. It encourages your kids to play and get moving. Benefits– Though it feels like the real experience for two-year-olds, the sounds are all mechanical, thus also meaning that no batteries are needed for operation. As our child pushes the mower, the beads inside start moving around. What We Like About It– The mower features a clicking key, movable throttle, and a removable gas can. Two-year-olds can open the gas cap and pretend to fill up their mower. It really gets them excited about doing simple tasks. The colors are gender neutral; boys and girls both love their mower. It can be pushed on several types of surfaces: tile, short haired carpet and pavement. This toy is so realistic, the company did a great job of creating this miniature toy mower. Kids can open the gas can by taking off its removable cap, then they can pretend to fill it. The assembly is super easy, parents just need to put the handle bar in its place. The height of the handle bars are not adjustable. The wheels don’t have enough traction to be pushed successfully on the grass. Most children just want to get their hands on everything and anything. This Drill and Learn toolbox lets your two-year-old roleplay with a child friendly toolbox. Two-year-olds can play around ‘fixing’ bits and pieces around the around. It includes a working toy drill, fix-it tray, screws, nails, wrench, and a hammer. Benefits– The working drill can drill the screws and spin the gears into the tray holes. Your child will relish in hearing the mechanical clicking sounds while they build their motor skills. The toolbox also features light up buttons which play fun sounds. What We Like About It– Not only does this toolbox amuse your children, but it also teaches them about colors and numbers. Simply add the double-sided instruction cards and they’ll learn while pretending to repairs bits around the house. The toy drill doesn’t require batteries to operate. The drill can fit inside if the yellow piece is taken out of the toolbox. Its plastic materials make it easy to keep clean. This is a durable kit that is made to last for many hours of playtime. The cards are a fun addition to the set. The toolbox can’t store the drill within, but there’s supposed to be a side holder outside. Batteries are included but they are the demo version; they’re not meant to last long. With this product, those future baseball stars will surely shine bright. The T-Ball set will make baseball a fun game for those just starting to bat. It has an adjustable height ‘T’ that can adapt as your children grows. Benefits– Not only does it have an adjustable height which ensures that it will be of use for many years to come, but it’s also a toy that is an easy clean up. While your children play, they will learn more about coordination and batting. What We Like About It– The easy storage solution ensures that it won’t be on the floor or take up too much room to store. It will help your child with their coordination, motor skills and batting skills – all of which will come in handy as they grow up. The kit is easy to assemble, children can do it themselves. It is conveniently lightweight; kids can put it away when they are asked to. This toy is so easy to use the whole family can play: parents, kids and grandparents too. It is easy to clean because there are few pieces and it’s all made out of plastic. The bat fits in kid’s hands, they’ll be comfortable swinging for the ball. This toy is safe and durable for little children to use, bigger kids tend to break them. The kit may not contain enough balls, but they are available in multiple packs online. For those tiny kids that are ready to step out into the world, this Turn and Learn Driver steering wheel toy will get them prepared. As your two-year old learns to drive, the adorable dog character will move around. Your kid can press any of the five colorful buttons that will introduce your two-year-old to different vehicles and animals. Benefits– This steering wheel toy by VTech will encourage your two-year-old to play through their imagination. It features a gear shifter that pulls and pushes to introduce opposites to your child. It even has a signal lever that triggers fun music and sounds while your kid drivers. What We Like About It– This steering wheel toy encourages your kid for imaginative play. It features three playing modes so that your two-year-old can choose to either learn in music, driving or animal mode. The bright colors make it easy for kids and grandparents to see and push. Kids can be found napping on the floor next to this toy, they play till they’re tired. It can be played with just about anywhere and it’s especially fun on car trips. This toy provides hours of delight, the sounds and music are pleasant. Kids LOVE to watch movies with cars and have this toy right in front of them so they can play along. It can’t be attached to a stroller, but parents please feel free to share a safe DIY solution. There are no suction cups on the bottom to keep the toy from slipping around. Though two-year-olds aren’t the ideal candidates for roller coaster rides or theme parks, this Loops ‘n Swoops Amusement Park Playset by Fisher-Price is the perfect toy to get them excited. It’s just over two feet tall so it makes so perfect fun for your kid. Your two-year-old can have the time of their life as the wheelies zoom down the ramps really fast. Benefits– This playset features a 360-degree loop that is sure to keep your child occupied for some time. They’ll be persistent in getting the wheelies around that loop every time. What We Like About It– This is a perfect all-around toy that will keep your two-year-old busy. It features multiple mini vehicles that are perfect for their little hands. On top of that, its packed with activities perfectly appropriate for your kid. This toy is as big as a 2-year-old kid! The entire set is easy to keep clean because it is made out of plastic. Everytime the car reaches the end of the ride the tower starts to play music. This tower is built to withstand children’s rough play. Kids become fascinated with cars zooming down the slide and around the loop, they’ll push cars for hours. This set-up is compatible with hot-wheels, but they will sometimes run too fast and fly off. This big toy is not so great for families who live in small spaces. Parents need to know that exploring is what children do best. Your busy child learns by doing, by touching, by creating, and by feeling everything that’s around and given to them. Playing will help give your child the opportunity to use their senses and help strengthen their developmental skills. Toys can help your child practice their newly acquired skills and slowly but surely mastering them over time. The types of toys that your child has available to him will help shape his development. Most of the time, people think that it’s so simple to just choose a toy. That couldn’t be further from the truth. It is probably one of the most tedious things you can go through. Numerous toys are in the market nowadays, making it overly overwhelming when searching for the perfect toy for your active 2 year old. Of course, parents want the toy that will not only keep their child entertained but will also kick start their education and help them love learning. We rounded up some of the best products on today’s market that are both educational and fun for your child for you to look through. From up above, you’ve read that 2-year-old boys go through various developmental stages that affect the products that parents choose for them to play with. If you look below, you will see the methods and criteria on which we based our choices of the best toys for your growing child. Children beam over the fact that they can now take apart toys and try to figure out how to put them back together again. They love pulling items out, putting them back in, adding onto them and simply just building and creating things. So, choosing toys that are considered open-ended will help encourage your child to play through their imagination. Whether they are wooden or interlocking, blocks are very popular amongst 2 year olds as they can begin to use and make many things like a bridge, a castle, or even just a road. Building toys like blocks help encourage your child’s imagination and help ensure that your child develops logical thinking and problem-solving skills. Many children, especially, 2 year olds, have a very short attention span. These days it can be tricky to try to give your child a toy or activity that will hold your child’s interest for long. With research, it was shown that 2 year olds actually have an attention span of roughly six minutes. Of course that isn’t enough time for a product to show its full potential, but to a child, those six minutes are a life time. Most, if not all, parents sometimes have the misfortune of buying a toy that seems exciting for their child only to have their child play with it for a short amount of time before getting bored of it. To overcome that obstacle, parents should look for a toy or activity that will grow with your child, such as the 3 in 1 bike by Wishbone. Parents should encourage toys that offer something for their children at different developmental stages so that the love for the toy will last even longer. Some examples of toys that would include these stages would be dolls, stuffed animals, vehicles like dump trucks or trains, doll houses, action figures and other plastic figures like animals. Toys and playtime give children the opportunity to continually practice their skills. They help them gain independence by mostly figuring out the toys on their own. It can aid in building their logical-thinking skills which lead to enhanced problem-solving skills. Toys that are excellent at problem-solving and explorations include play dough, crayons, art materials (e.g. clay), nesting blocks, building blocks, sorting shapes, and puzzles. Most toys also aid children in developing specific useful skills. They develop their fine-motor skills and hand-eye coordination by using the small muscles in their fingers and hands. They develop their spatial relation skills through the understanding behind how different objects fit together. Kids these days are advancing at a pace that is unlike any other. They are able to pick up on simple everyday tasks a lot quicker than some of us would like to admit. Tasks such as figuring out the light switches and television remotes are becoming straightforward for kids. Not to mention how advanced they are getting at figuring out our cell phones. So, getting them toys that imitate those everyday tools can really help them with their spatial relations, fine-motor, and problem-solving skills. Some great toys for this specific purpose can include brushes, dustpans, mops, brooms, instruments, toy phones, and toy keys. Children are at the most active point in their lives. They are getting more confident and stronger, therefore, leading to more physical tricks taking place. Some toys encourage your child’s physical activity level. These can include boxes made into tunnels, pull toys, basketball hoops, bowling sets, scooters, tricycles or even just balls of different shapes and sizes. We know how challenging it is to determine which kind of toy is appropriate for 2 year olds. Not to worry because we have partnered with some of the nation’s leading child developmental psychology experts to give us a helpful overview of what we need to look for in the most useful, most developmentally appropriate, and most educationally beneficial toy you can ever give to 2-year-old boys. We have taken what we have learned to heart and coupled this with our extensive research into the safety and design quality of the individual toys. We also had to look at the first-hand experiences of parents and other consumers of these toys so we have an idea of how well they sit with the world’s most demanding customers-–kids. These, together with the credibility of toy manufacturers, make up the rubric of how we evaluated each toy for 2-year-old boys. We are optimistic that you will find our list very helpful whether you are looking for some gift suggestions for somebody else’s child’s birthday or toys for your own kids. Two-year-olds are enjoying their new-found freedom as they no longer have to depend entirely on mom and dad to learn the different things around them. Unfortunately, their attention span is quite short, literally, and as such, they tend to get bored and distracted easily. On average, a 2-year-old boy will have an attention span of roughly six minutes. This can be a real challenge, especially when looking for a toy or a gift item. It is crucial to make sure that it is capable of sustaining the 2-year-old’s interest, lest he discards it and moves on to the next toy. Another interesting area that you need to understand about 2-year-old boys is that they now have an idea of object permanence. This means that even if something is hidden from view, they know that it is still there, only obstructed from his view. As such, you may see your 2 year old looking for his favorite toy at the bottom of his toy box. Physically, your 2-year-old boy is already beginning to show mastery of his balance and coordination. He may also begin participating more actively in some physical activities like kicking the ball or even running. Toys that work best in this regard are trikes, scooters, and balance bikes although any other toy that can help foster the development of his larger groups of muscles will also be beneficial. One very remarkable achievement of 2 year olds is their language and communication skills. While it is true that they are still learning to connect or link different words together, they are now capable of expressing or communicating their thoughts. They may show sense in the meanings of certain words by pointing to the object when you ask them to. Unfortunately, if your kid’s language and communication skills lag behind his more advanced thought processes, he may become easily frustrated because he simply cannot express what he has in his mind. That is why it is very important to choose toys that allow them to expand their vocabulary and learn the basic meanings of words so they will be able to communicate their thoughts a lot better. Two year olds have fantastic imaginations. Toward their third year, they are already trying to establish the difference between what is real and what is fantasy. Make-believe play sets or toys that allow them to use their imagination can be very beneficial in this respect. Choosing the right toy or gift item to give a 2-year-old boy is crucial to his optimum growth and development. Hopefully, our list of the best and most popular toys for 2-year-old boys is instrumental in helping you make the correct choice. Q: How do these toys affect childhood development? A: Well-thought-out toys help kids meet their developmental mile markers. By a certain age, kids need to start crawling, then walking, runnings, eating, studying, etc. Toys that help kids develop properly are toys that positively affect childhood development. A good example of such a toy is the lawnmower. The lawnmower helps kids stay steady on their feet while encouraging them to work out walking muscles. All the toys on this list promote positive childhood development in one or more key growth areas like fine-motor skills, hand-eye coordination and attention span. Q: Do these toys promote real-world skills? A: Good toys help kids stimulate their brains and encourage understanding fundamentals or help develop a basic skill. Some children are gifted in areas like music, art or physical activity. But every child can benefit from toys like the T-ball set. Even if your little one doesn’t turn out to be the next MLB star, they can still have fun batting and throwing the ball. Q: Are any of these holiday-specific toys? A: The toys on our list make amazing gifts for birthdays and during the holiday seasons. There are many holiday-themed gifts in the marketplace, but none on made it on our list. These toys are great for any occasion, even holidays. But they won’t be out of place at a birthday party or as a reward for good behavior. Q: What to do when older siblings want to play with toddlers toys and vice versa? A: Kids should try and play with toys within their age group. It is safer for kids and toys won’t break so quickly. Children toys are strong enough for them to play rough, but older kids can easily break these types of toys. Kids shouldn’t play with toys meant for older kids because there could be sharp pieces or small parts. When different aged siblings want to play together, they can play with toys that are appropriate for both age groups. Q: There are lots of toys for 2 year olds in the marketplace, how do parents know which ones are good ones? A: Reading our toy guides are the best way to know which toys are most appropriate for your youngster. But other than reading our amazing guides, parents need to make sure that the toy is safe, a little challenging, makes them think and engages them emotionally. Children are naturally curious, they’ll play any game you give them. Just make sure they get something meaningful out of it. Q: Is there a way to double up on some of these toys? A: Yes, make sure the toys you get can grow with kids. Plastic building blocks are great examples because when they are young they use these blocks to build simple things. When they are older they can use these blocks to act out a creative story. The trick is to not buy toys that kids will grow tired of in two days and then never touch again. That’s why our list is amazing because we compiled the toys that are the most popular among 2-year-old boys. Q: How does playing with toy trains benefit 2 year olds? A: Playing with toy trains encourages little boys’ creativity and imagination. As they create tracks for their trains to travel, they are working on their cognitive and fine-motor skills. Trains fall off their tracks often, kids work on their dexterity every time they grab their train to put it back on the track. Q: What can parents do with the toys their kids outgrow? A: Many of the toys on our list are collectible items. The high-quality materials ensure they look good even after years of use. They can be put on a shelf on display or used as a decoration piece around the house. It’s also never a bad idea to donate toys to charity. Let’s give kids who are less fortunate a chance to play with the toys once your children are done with them.